EURUSD is falling down the descendant channel. Euro weakened despite positive ZEW Surveys. 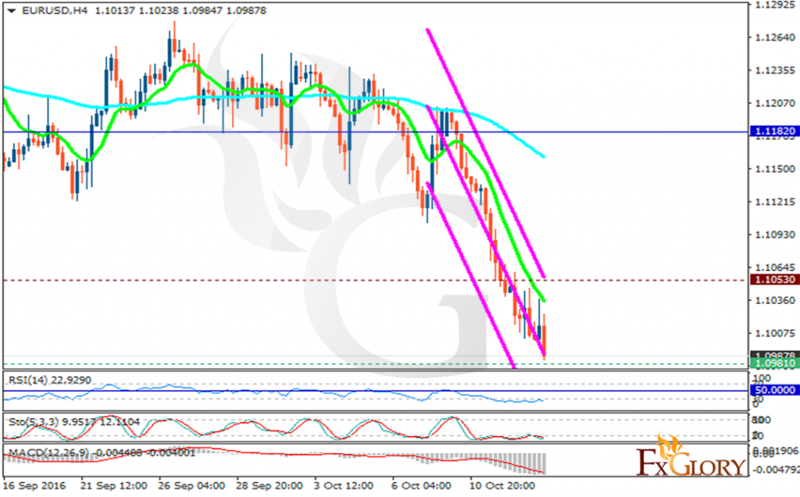 The support rests at 1.09810 with resistance at 1.10530 which both lines are below the weekly pivot point at 1.11820. The EMA of 10 is moving with bearish bias and it is located below the EMA of 100. The RSI is moving below the 50 area and has reached the oversold area, the Stochastic is moving horizontally in its minimum rates and the MACD indicator is in negative territory. Buyers can target 1.1120 as the 1.098 seems such a strong support area.